Personal-Assistant-Tips provides best-in-class training programmes for individual Assistants and for support teams. We provide open courses as well as bespoke in-house training that shows Assistants how to significantly raise their game. Our training courses are delivered by an expert EA Trainer. She is a former Executive PA with over 25 years' experience of the profession, so she understands the challenges. Executive Assistants pack their boss’s parachute on a daily basis. 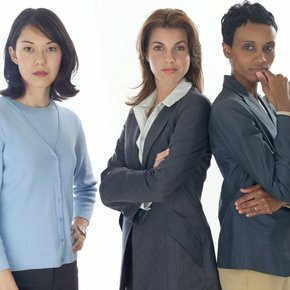 A survey by Hays Secretarial found that 90% of executives believe they could not do their jobs properly without their PA. Therefore, regular PA and Executive Assistant training is a justifiable cost to the business, and an investment, as opposed to an expense. A well-trained PA will effectively manage her boss’s workflow, free up their time, and increase the productivity of their working partnership. We can teach your Assistants how to move beyond the standards of a PA “tactician” to the mindset of an EA “strategist”. Our Executive Assistant and PA training courses are highly recommended, and rated as "excellent" by attendees. Please review the list of training programmes below and download a brochure. “The best of the Advanced Executive PA Masterclass is not the content (which was perfect), but for me it is about how to be more useful, powerful, and willing to do things and increase my boundaries. I see opportunities I didn't see before! THANKS!!!" “This course is absolutely essential for the modern PA and EA. It taught me new practical tips and ways of working. Marguerita has a wealth of knowledge to share. Highly recommended!!" “Thank you so much, you presented exactly what you said you would. I've learnt loads!" “Marguerita is the Wikipedia of the PA profession." “Marguerita's experiences of being a PA herself means that she fully understands the demands and pressures of the PA role"
“Fully satisfied about the course Marguerita presented. I feel like I learned from the best." We have trained Assistants from a number of recognised companies at our open courses and in-house courses, so you're in good company. We have trained PAs from PwC, NHS, Marks & Spencer, BP, UNESCO, ING, European Training Foundation, E-On, Symantec, Provident, Roche, The Environment Agency, The Cabinet Office, Capital One, Alstom Energy, European Patent Office, Ferring Pharmaceuticals, Moody’s Investors, and Legal & General, to name a few. Need urgent strategies for tackling PA & Administrator productivity issues? For full access to over 100 articles on PA professional issues. "A thoroughly enjoyable and enlightening course which has given me several ideas for implementation upon my return to the office."